Paris: We’re Still In is a campaign launched by Interfaith Power& Light to show that U.S faith leaders will not give up on caring for creation, no matter what happens in the White House. 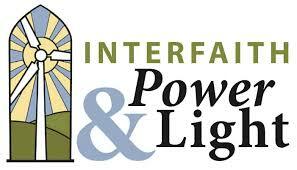 While Interfaith Power & Light and other faith leaders will continue to fight for the United States to keep the Paris Agreement, they will continue with the Paris Pledge even if the U.S backs out. To read more about Paris: We’re In, click here. Posted by georgalas.5 at 8:46pm 06/07/2017 Posted in Advocacy, Climate and Energy, Current Events, Ecological Restoration, Engaged Organizations, Environmental Justice, Faith In Action, National Religious Partnership for the Environment, Official Denominational Environmental Webpage, Readings and tagged advocacy, Climate Change, Environmental Statement, Environmental Stewardship, Interfaith, Interfaith Power and Light, Sustainability. Bookmark the permalink.